Jim Lollar was born on August 23, 1945, in Kilmichael, Mississippi. He enlisted in the U.S. Air Force on March 26, 1967, and was trained in Weapons Maintenance. 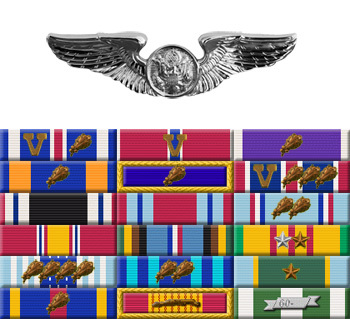 He served a double-tour at Phan Rang AB, South Vietnam, first in aircraft armament, and then as a door-gunner from August 1967 to August 1969. After an assignment with NATO, Sgt Lollar went through flight training to become a B-52 tail-gunner. He flew combat missions from Kadena AB, Okinawa, Utapao Royal Thai AFB, Thailand, and Andersen AFB, Guam, from July 1972 until his aircraft was shot down over North Vietnam on December 21, 1972. Sgt Lollar was taken as a Prisoner of War by the North Vietnamese and spent the next 98 days in captivity before being released during Operation Homecoming on March 29, 1973. After returning from Vietnam, Sgt Lollar completed his degree and was commissioned through Officer Training School in March 1977. Lt Lollar was next assigned to the Air Force Audit Agency at MacDill AFB, Florida, and then served with Headquarters Aeronautical Systems Division in contract procurement at Wright-Patterson AFB, Ohio. Capt Lollar left the Air Force on January 22, 1982, and started a carpentry company building homes. Jim Lollar died on August 14, 2018. 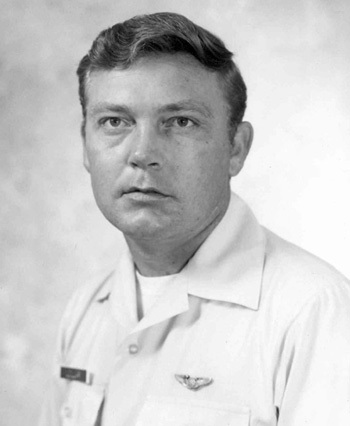 Staff Sergeant James L. Lollar distinguished himself by heroism while participating in aerial flight as a Fire Control Operator near Hanoi, North Vietnam on 20 December 1972. On that date, as a crew member of a B-52 engaged in one of the largest conventional bombing raids ever amassed in the recent history of aerial warfare, Sergeant Lollar received significant battle damage to his aircraft as the result of extremely heavy hostile fire. Sergeant Lollar and his crew were targeted against massed supplies, communications equipment, and transportation lines in order to eliminate the aggressor's capacity to initiate an offensive, and despite receiving heavy battle damage and incurring grave personal danger, Sergeant Lollar and his crew were able to destroy the target even though the loss of their aircraft was imminent. The outstanding heroism and selfless devotion to duty displayed by Sergeant Lollar reflect great credit upon himself and the United States Air Force.